A GROUP of Costa del Sol expats fear the volume of traffic on the A-7 road is damaging the value of their homes. 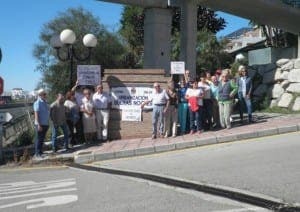 Several Buenas Noches residents, an urbanisation between Estepona and Manilva, are making a stand against road noise and one expat couple has launched a petition for new tarmac and sound barriers to be installed. 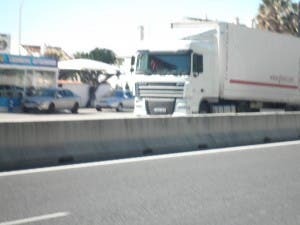 One of their qualms is freight lorries ‘avoiding the toll road’ and driving through the night on the N340 dual carriageway through their neighbourhood. The landscape has changed significantly since another expat, 76-year-old Anthony Hartley, built a three-bedroom property overlooking what he describes as a ‘donkey track’ in 1972. Since the dual carriageway was built he has been forced to install a glass case around his balcony for €6,000 to block the sound of the traffic. Nothing was done after Hartley launched a petition and submitted an official complaint about road noise in 2011. Now this latest couple has submitted their own change.org petition after finding prospective buyers were holding back because of the noise. “We had no idea when they built the road that this was how it would be and we all agree that our house values will suffer as a result,” Hartley told the Olive Press. 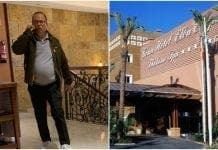 “Never mind selling the property – which I believe has probably halved in price as a result – I don’t particularly even want to go on holiday here any more because of the noise,” he added. 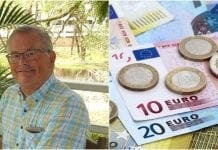 The grandparent-of-two believes he would now be lucky to get €200,000 for his house which was worth up to an estimated €600,000 before the 2007 financial crisis. These people make one chuckle. They cram into a coastal strip, cheek by jowl, then complain at the volume of traffic, which they all contribute to. Even the freight wagons, many of which, are delivering the goodies they all insist on. Stefanjo, as you cannot read correctly, let me explain, there was no dual carriageway at one time and has been a new addition. Aguadulce in 1968 has 3 casitas for fishermen who returned to the mountains in winter and a camp site (dodgy with a flash flood) in the arroyo.The views towards the lilac Sierras was beautiful. When we got back to Almeria I asked about buying land there, people thought it was hilarious, the same as when I asked about buying land just outside the then Almeria. Aguadulce now is a vomit of apartment blocks spewing out from the arroyo, the noise and pollution from all the traffic. In 1962 I was offered a free holiday in Benidorm, by someone who worked for my father, he said “you’ll have no problem finding it, it’s the last fisherman’s house in the village. Tempus fugit, is’nt that the truth. Error, memory malfunction – Torremolinos, not Benidorm.